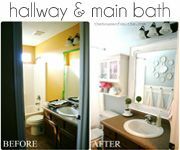 Whether it's a bathroom, living room or bedroom, we're all looking for ways to add a little more 'awesome' to our space, and a unique wall treatment can be the perfect way to do that. 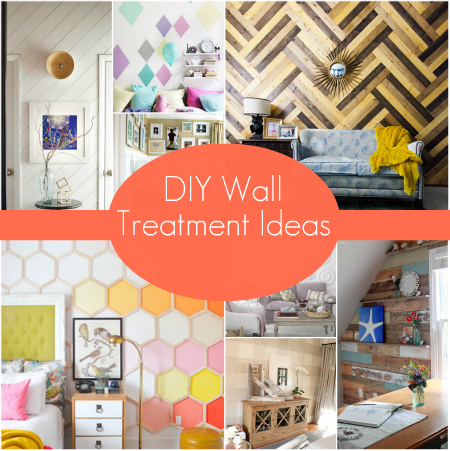 While some of these suggested treatments below would look great allover in a room, others are ideal for a single statement wall. These three wall treatments, although each done with basically the same material, can each give you a very different look. Wainscoting or whitewashed paneling gives a space lots of movement and can help create the effect of a room being larger than it really is. 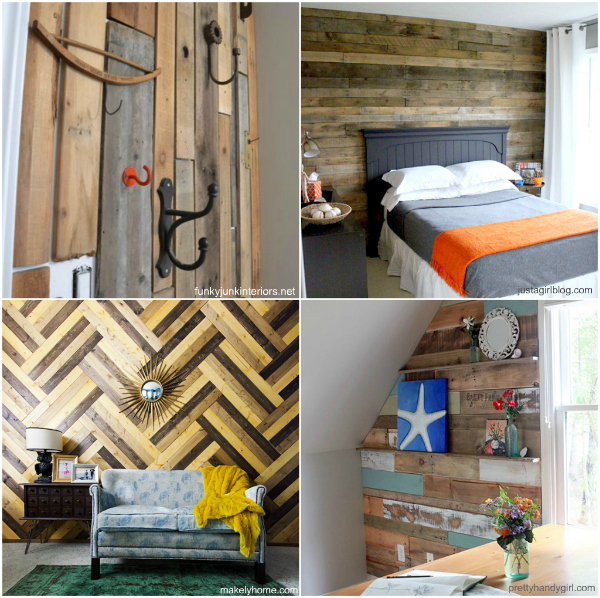 Reclaimed, salvaged, or stained planking on a wall can add a very rustic look to your space. Utilizing wood in it's natural form helps to add a lot of warmth and natural texture to a room. 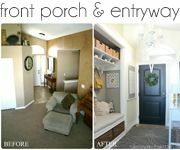 Unique molding designs are the perfect way to upgrade a space. 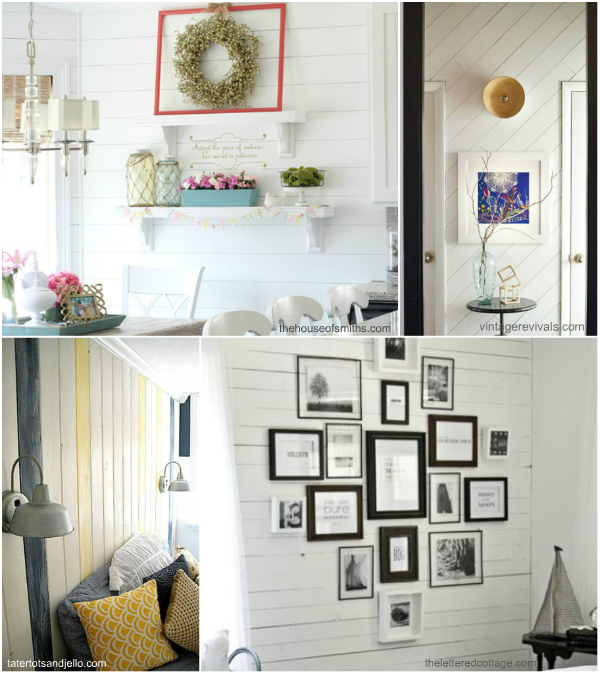 The great thing about accent wall moldings like board and batten, are that you can customize it to your liking. No layout is right or wrong, you can create whatever pattern or design you can dream up. I love the vision and eye for beauty that some people have. It doesn't happen quite as easily for me. 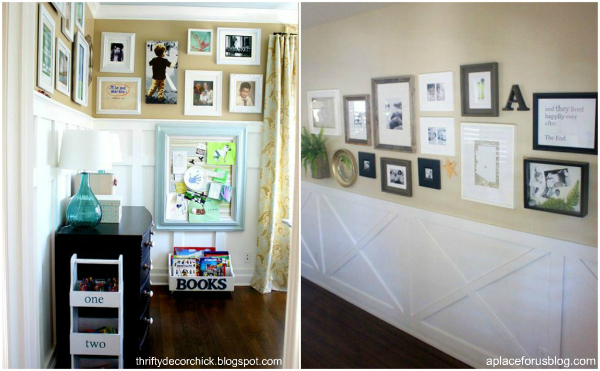 Great wall treatment ideas. 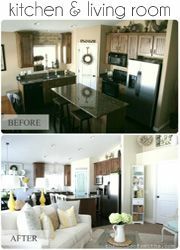 Loving the reclaimed and paint wood options! Love these ideas. 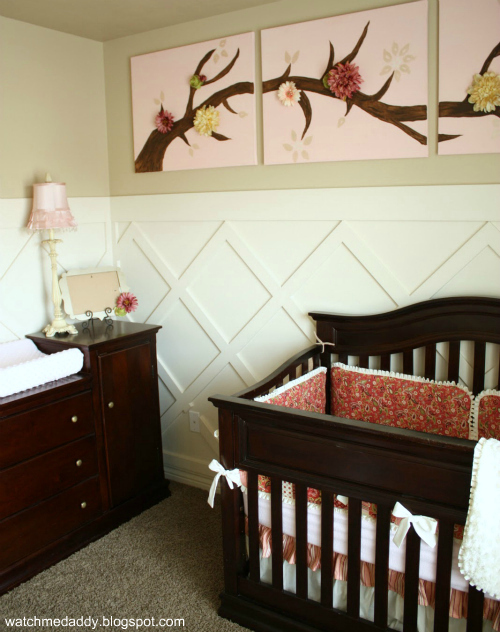 I adore the lattice pattern in the nursery with wood. We painted ours. What a great idea! I got some much need inspiration. As a renter we have left our walls blank for sometime. Now that we have decided to stay put for now, we have taken to decorating our house. It is so fun! The diamond patterned wainscoting is a great idea! 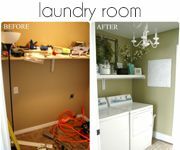 I will have to try that in my next nursery design project! Great ideas!! Love the moldings on the wall. Love all the creative ideas!!! Love this! 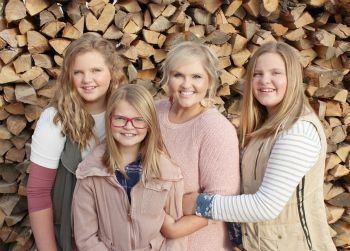 That hexagon wall is to die for--I can only imagine how much time that took! Thanks for sharing these great ideas with us!